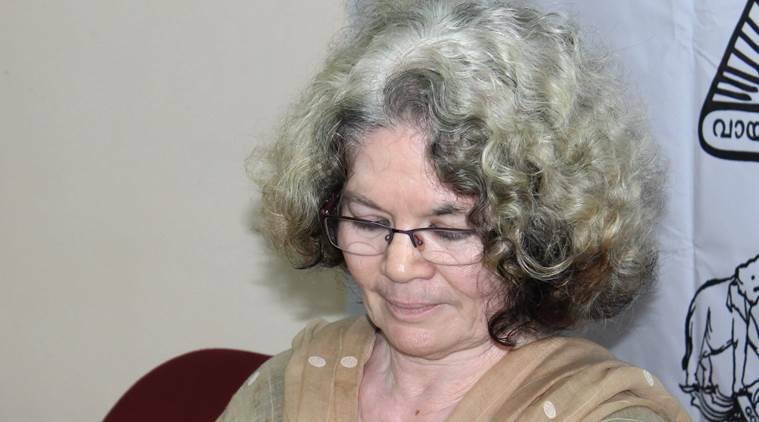 Malayalam novelist Sarah Joseph said on Friday that religious intolerance in the country still persists and hence the issue of taking back the Sahitya Akademi award does not arise. Joseph, who had returned the Kendra Sahitya Akademi award in protest against the terror-like situation in the country, was reacting to the Academy resolution asking writers to take back the awards they had returned. “By giving back the award, I have registered my strong protest against growing religious intolerance. The situation has only worsened after the writers marked their protest. Hence, it would be a great blunder if I decide to take back the returned award,” Joseph said. She said the Akademi was forced to adopt this belated resolution after writers put strong pressure. “We had protested against the silence of the Akademi. It is a relief that the Akademi has taken such a move, although belated,” she said. She said the situation that prompted the writers to give back awards not only persists but has worsened further. The dog remark of Union Minister V K Singh shows that the mindset of intolerance remains very strong, she added. Joseph, a feminist and writer, had bagged the award in 2003 for her novel Aalahayude Penmakkal.